The college has planned for placement drive on 19th Nov 2014. Fifteen to Twenty recruiters are expected to participate, the major recruiters among others are Mphasis,HP,IBM,HDFC Bank,Axis.. 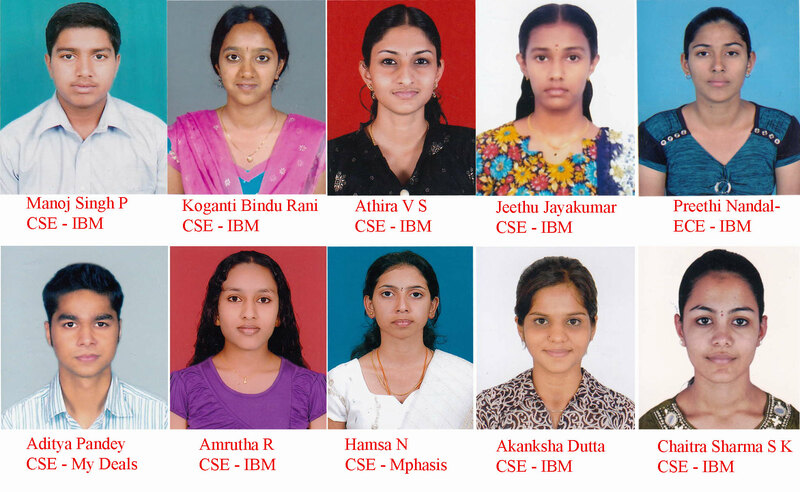 The students who have been selected for placement drive on 19th Nov 2014.